Confederate Rebel Flag Heritage Not Hate CSA Windproof Lighter | BUDK.com - Knives & Swords At The Lowest Prices! Heritage. Not Hate. 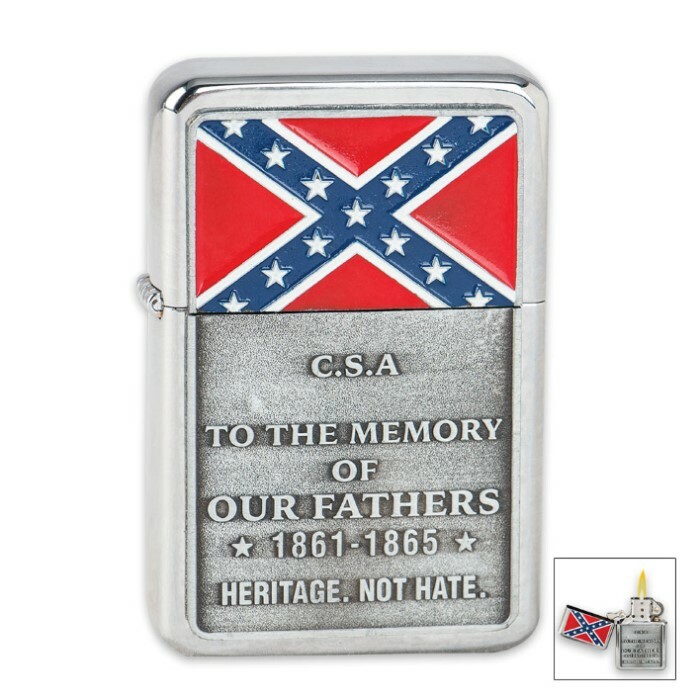 That's the message that this exclusive CSA Confederate Rebel Flag lighter conveys. It produces a strong, windproof flame and commemorates your Southern heritage handsomely. Don't let anybody try to steal your heritage or overshadow it with false pretenses of hate. 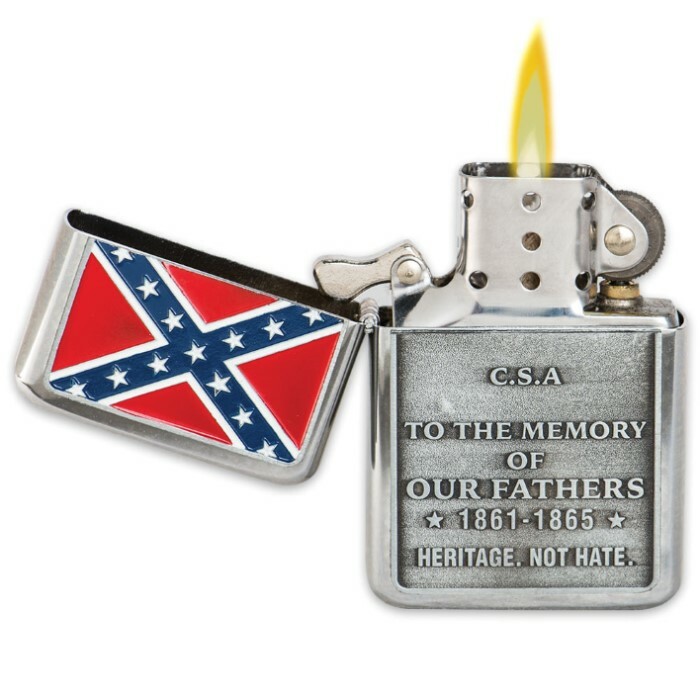 Get your Heritage Not Hate lighter today!